So…you want to start a nonprofit. Fantastic! That puts you in pretty good company. In any given year, as many as 75,000 applications for 501(c)(3) tax exemption are filed with the IRS. Less than half survive the process, but there is certainly no lack of interest in doing something charitable. But what does it really take to start a nonprofit? What are the non-negotiables that simply must be in place in order to get started with any hope for success? In this post, we are going to explore 5 essential questions that need answers before you get started on your journey. 1. Why are you doing this? Let’s begin where the rubber meets the road. Are you doing this to meet a need that exists in your community? To use the buzz word of the day, are you looking to “give back” in some way? Are you looking for a more fulfilling career path? If this is a religious nonprofit, do you feel “called”? It is likely that one of these questions fits your situation…and one is not necessarily better or more “right” than another. The point is this: If you do not resolutely know the answer to this question, you are not ready to start a nonprofit. 2. What are you going to do? You would be amazed at the number of people we speak with who know why, but have not figured out what (never mind those who know what, but not why!) . It is understandable that you may not have every detail of your program nailed down, but you better have a pretty good idea of how you intend to pull off your mission. If you are one of those who are driven by the need you see around you, but are stumped on what to do, look at what other organizations are doing to meet similar needs in other places. You don’t have to be original, just effective! If you need help getting it on paper, invest in some business plan software to help you flesh out and organize your ideas. 3. Who is going to help you? Hang around us a little while and you will hear this over and over again. You cannot pull this off by yourself. If you think you can, you do not understand what you are getting into. 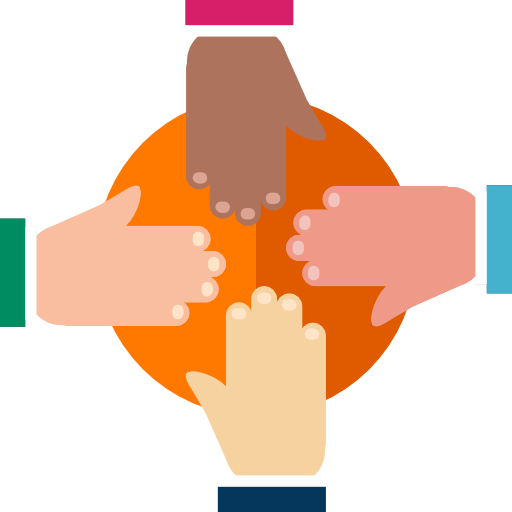 First of all, you need others to assist with governance, i.e., board members – For more articles on nonprofit board members, click on the tag “board of directors” in the right sidebar. You may need employees or volunteers (or both) to assist with operating your programs. You must have people, either insiders or hired professional service providers (like Foundation Group), who can help you with compliance issues and keep your nonprofit out of trouble with the state and federal governments. It is far better to recruit help earlier rather than later. 4. How much is this going to cost and how are you going to pay for it? Yes, I know there are two questions here, but follow me on this. Crafting a budget for your organization is a formidable task, but one that you cannot avoid. Remember, you are actually starting a business here. Sit down with your newly recruited board members, get a pot of coffee brewing (or two), roll up your sleeves and get to work. Think about what you are doing. Research the costs. You may be lucky enough to find an existing organization with a similar program whose budget you can use as a starting point…or, you may be working from scratch. Next, you must have a plan for funding your program. Whether you expect your money to come from donations, grants, program fees…or some combination…you have to be very, very deliberate in your planning. Funding doesn’t just happen! 5. What is your “elevator speech”? Your elevator speech is what you would tell me about your organization if you only had 2 minutes with me in an elevator. This may sound silly, but it is actually fundamental. You must be able to clearly and concisely articulate what your organization is all about. This is NOT your purpose or mission statement (see number 1 above). Think more organically. Your ability, and that of the others in your nonprofit, to effectively communicate your message can make a huge difference in attracting the support that your organization will need. 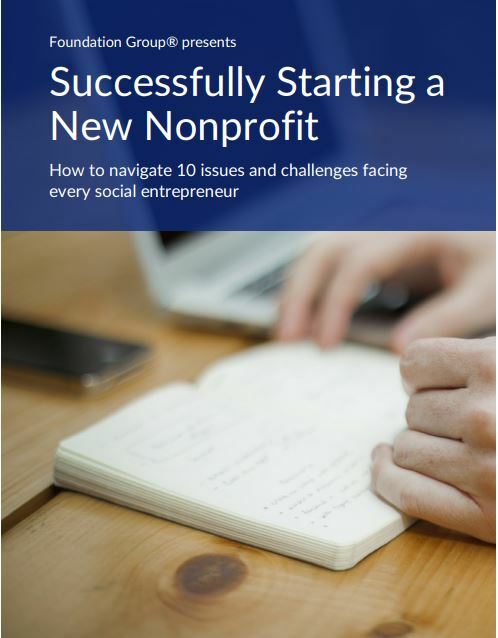 Starting a nonprofit is a big undertaking. Think strategically in the beginning and you will be far better positioned for success. Can a U.S. non profit have foreigners as directors on the board? Also, can a U.S. non profit raise funds through the internet from around the world? Generally speaking, yes and yes. Just make sure state corporate law allows for non-citizen directors. I am wanting to start a charity or something to help provide needy children in my area with jackets in the winter. I have 5 children myself and understand how the fall in the economy has put a strain on some families, but the children in my area need help badly. Alot of parents either don't have jobs or spend their money on illegal drugs which leaves the kids out in the cold. My question is is it a charity or non profit, if there's a difference? And where do I start first? I have address my ideas with some of the local but it seems as though I am the only one that pays attention or cares. I have ideas for fundraisers because I myself do not have alot of money to invest to get this started. I believe that this is a great idea and I am praying that someone will help me, These kids are the future and they need help. Please help me get started. What you want to do may not require going through the formal process of forming a nonprofit. You may be able to get started as a charitable project. Given the difficulty you are having in recruiting help, I suggest partnering with one or more churches in your community. Take your idea to the pastor or other staff member, make your case and see if they can help host your idea. You might be surprised to see the idea take off. If it gets some traction, you may eventually need to form a nonprofit…but first things first. Don't give up! 1) We are raising money to build the 1st pediatric hospital in an African nation. We are incorporated as a 501 (c)(3) here, and are registered as a NPO in Ghana. My question is, how do we structure the foundation here (the primary location) and it's relationship to the required "directors" in Ghana? 2) We were incorporated in Oklahoma b/c that is where the doctors who founded the org. were in residency. Now only 1 of our 24 Board members actually live in Oklahoma. We've had in-kind services donated by organizations in at least 3 other states. Do we need some sort of license/certificate to be able to solicit/receive donations from individuals and corporations in states other than where we are incorporated? Question 1: Lots of foreign countries require US-based charities to have a recognized NPO in that country in order to operate. Just remember that the IRS expects the US charity to functionally be the same as the NPO. If Ghana allows only nationals to be NPO directors, that creates issues stateside. You must structure it such that the US still maintains control. The better solution would be for the NPO board to be the same or, at least, overlap with the US board. 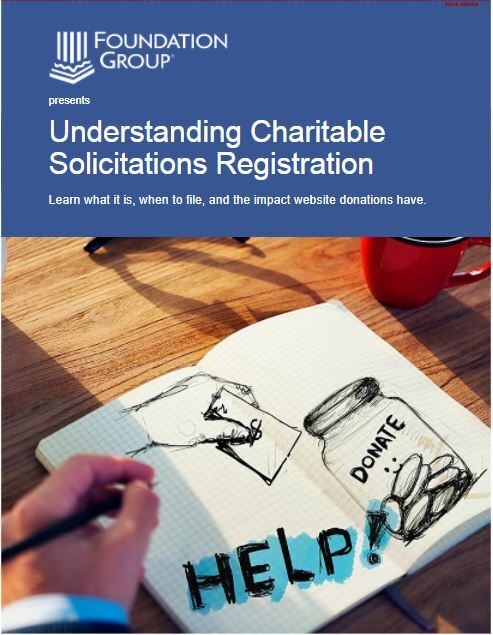 Question 2: Most states, including Oklahoma, require you to register with the department of charitable solicitations if you will be raising funds there. The rules vary by state, but it is imperative to get registered. States are really starting to crack down on this and penalties for non-compliance can be steep. Foundation Group provides registration services in all states that require it, so call us if you need help. Even an long-established organization can seek 501c3 status and get it as long as it qualifies. It is even possible to get the IRS to make the status retroactive all the way to the beginning, though that is not guaranteed. We've done this with dozens of "old" nonprofits. Give us a ring…we can likely help you. I have a business name, but have not decided what area to focus my interest. I have been pondering over this project for sometime. I have been viewing tactics and reading other ideas. I knew there were many questions I had to answer and decide on how to get started.These answers/questions have given me a broader understanding of what 501(c) (3) involves. I am interested in doing something to help young women and the elderly. I know this project would take a lot of construction (Mentally), and I would like to design my own building inside and out. Thanks, just browsing the web for information. Is it possible for the person paying start up fees to get their money back? That depends. If you loan the money to the nonprofit and have written documentation from the board as a whole attesting to that fact, then a repayment of that money is OK. Otherwise, consider it a donation. I am from Northeast India (Nagaland) and I have started a nonprofit organization a few years back with all those 5 questions answered clearly in my mind and heart. Can I get registered under 501(c)(3) though my organization is not US based? Kindly help. Yes, you can…but it will require you to establish a separate US-based nonprofit corporation. You will also need to have a board of directors that is at least partially comprised of people in the US. It is important to keep in mind that the US-based entity must have a distinct program of its own, even if that program is conducted in India only. You cannot have a US organization that only has the purpose of raising money for your Indian nonprofit. See our article Charitable Activities in a Foreign Country. Is there a cap on the salary one can earn running a non profit? There are no hard dollar or percentage-of-revenue caps. What the IRS looks for is whether or not the level of compensation is "reasonable" given the job description, experience required and comparable salaries paid by other nonprofit organizations. It is a very subjective exercise…one that requires your board to do its homework before establishing a particular rate of pay. The best practice is to establish a low-mid-high salary range structure for every position within the organization. Valuable article, and site, thank you. We have an organization, a little bit of money, and objectives with appeal, but have not addressed some of the issues here. We are tending toward just a few overloaded people carrying the weight, and don't have realistic financial plans. Our mission, methods, goals, etc. are pretty obvious, but I can see we need more commitment and foresight before taking this on. I'm the Prez, and "Founder's Syndrome" is being absolutely pushed onto me, because people don't want to take responsibility for commitments or decisions. From what I read here, I need to turn this around, before we can proceed. Simple enough – I'll just stop stepping into the breach, and point out that we can't achieve a functioning organization this way. What great feedback! The light bulb has so obviously blinked on for you that I have no doubt you will make it where others don't. Stay focused and committed to the end result and you will get there. We wish you the best as you start down this road. Can a 501c3 be utilized in more than 1 state at a time? Absolutely. Consider how many national-level nonprofits you know about. The key is that you may need to secure what's called a certificate of authority in a particular state if you have activities there, but are incorporated in another state. I found the article Asking Five Questions very helpful. It showed me immediately that my ideas that would utilize a non-profit are the second tier of my business plan, and that I am not yet ready to take this phase on. It quickly made it clear to me that the "Yes!" I have for this part of my work still belongs in the future, perhaps nine to eighteen months down the line!